Little Red House is your home away from home! Your comfort is our goal. We have created a restful retreat that you can think of as your home away from home when you’re in the area. We are conveniently located mid-way between Le Mans and Tours, just a few minutes drive from the small town of Le Lude which has the most northerly Chateau in the Loire/Loir region. When you plan your visit, consider us for your stay. Little Red House gite features tasteful décor, all the amenities you could need and wonderful countryside views. There is a lovely pool available with adjacent shower room/toilet plus loungers and fridge for those essential cool poolside drinks. We have made it easy and safe to reserve and pay online - contact us now! The Little Red House gite sits alongside Les Rogeries, an old farmhouse with 4 hectares of land surrounded by farmland and woods. Nestling in a quiet landscape of traditional French farmhouses and villages, Les Rogeries is very near the pretty town of Le Lude. Le Lude boasts its own chateau and is convenient for shopping and eating out. For more variety we are only about 20 minutes from the market town of La Fleche, 35 minutes from Sarthe's centre Le Mans, and 55 minutes from Tours in the heart of the Loire valley. The gite is very comfortable and bright, the pool is heated, the surrounding are very rural, and the owners extremely nice and helpful. interesting towns and sights to visit nearby, and good restaurants. We had a lovely stay. The petite maison rouge is set in lovely peaceful surroundings with all you need for some real rest and relaxation. A well equipped and comfy gite is a perfect base to explore the lovely local towns or just kick back and chill out. A particular mention for the bedrooms on the ground floor making for cool rooms on barmy nights, we slept like babies. Also the balcony was a lovely spot to dine and watch the sun go down. So if you want a proper get away from it all break, look no further. Fantastic location - peaceful yet not too far from many interesting places. The pool is so much nicer than most - our son practically lives in it! An easy place to relax. The gite is beautiful with plenty of outdoor space and a gorgeous pool. All aspects of the gite were spotlessly clean, well maintained and furnished to a very high standard! Set in rural countryside the town of le Lude is worth a visit and a slightly further drive is la flèche which has a great market. 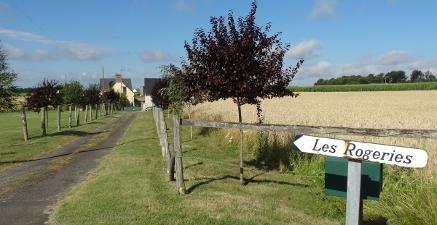 This gite is made for relaxing and we will be returning!!!! If you are looking for ultimate relaxation in a rural setting then this is perfect. 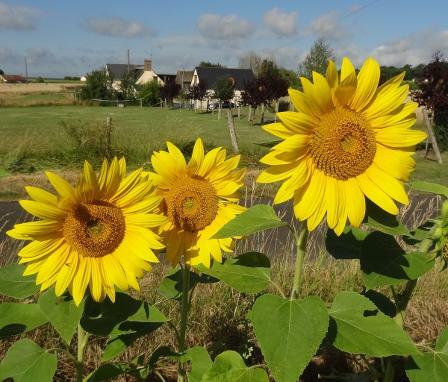 The gîte is furnished to a very high standard with a lovely outdoor BBQ area and garden. The pool is very clean and in a lovely spot that catches the sunshine. A wonderful spot in a very relaxing setting and within easy driving distance to local amenities. Will definitely return!! Lovely newly refurbished cottage with home-from-home facilities. Beautiful views from the upstairs living area and a balcony to enjoy a quiet breakfast. Good sized heated pool with plenty of sun loungers and more views of the surrounding farmland. Very rural location, so a car is essential for arrival and departure. The area is flat, so cycling to local villages is pleasant and easy to do and there are lots of National cycle routes nearby for a longer ride.